The Accurate Group of Institutions have planned to have a mega contest, which will be christened as the ‘Kaun Banega Accuratian ‘ contest. 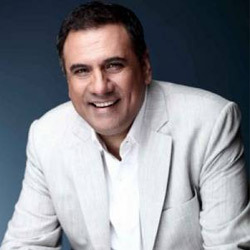 The gala event will be hosted on 15 March 2013 and the lucky one could share his seat with Boman Irani! The competition that will comprise of mind racking and highly entertaining quizzes are taking place to felicitate the managers for demonstrating their knowledge and skills which they have honed during the last two year’s program. KBA is a unique way to create awareness towards business acumen. The primary objective of organizing such an event is to cultivate the competitive spirit among the students to make them ready to work in teams and to improve their understandings on various issues, which are happening in the corporate world. It provides the power of knowledge and depicts it as a change agent, a catalyst for social transformation and change for better empowered individuals. It is also the greatest leveler for the various social biases, and provides an opportunity to the student to change his/her destiny. Kaun Banega Accuratian will have different rounds of contest where in the students will be participating to compete with their batch mates and prove themselves the best amongst others, and fight through various rounds and finally be awarded as the Accuratian 2013 ! !